I really want to thank you all so very very much for helping me through this process. This probably feels like the never-ending story - but it IS over now. Phew! Since I wrote about it extensively, tho, I'm tying the whole process up into one neat and tidy summary for my own future reference - and perhaps for anyone else looking for help. But again - your insights and comments have been invaluable. Thank you!! Google is your friend - google literally every single thing. Forums discussing that exact thing abound!! **denotes shops where I spoke with a representative. Without exception, everyone I spoke to was incredibly helpful and friendly - and I would recommend these businesses. This is some real talk here. Because this is essentially a very important piece of equipment and there are a few auxiliary costs along the way to finding the perfect fit. To start, my planned budget maxed out around $1,800. That's a lot of $$$. But I *hoped* to spend about half that (and my saddle fitter seemed confident that I would find something nice in the $800-$1,200 range). I looked exclusively at used saddles. That brings me to the fitter, who gave us a free consultation with some trial saddles we picked up. 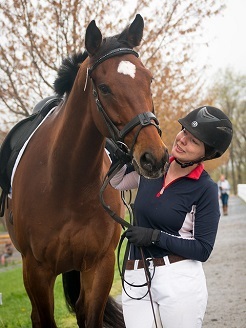 The expectation was that we'd bring her back for a true fitting/reflocking once we found our saddles - for a cost of $150. This amount was therefore included in all further calculations. My criteria was: 17" seat, narrow tree, wool flocked, and minimal gusseting. True narrow trees seemed surprisingly elusive, and many saddle makers (including most french companies... le sigh) were excluded right off the bat bc they don't use wool flocking. lol what a bummer!! i'm hoping these new scratches will just buff out... but yea, definitely not a fun thing to do with a new saddle! I love the break-down you made of everything - thank you!! I'm glad you two have found a useable saddle at a pretty decent price-point! oh great!! many of them were recommendations gleaned from comments or other blogs, and it's by no means comprehensive... but at least it's a starting point! That went smoother than it could have all in all. Good break down. I still dread when I have to get my new used saddle next tho... Iz is happy, you're happy, hurray!! yea... looking back on it, everything seems fairly painless (esp considering the perfect outcome!)... but i'm in no rush to do it again! hopefully your process (whenever you begin) will be equally smooth! Great to know some good used saddles can be had for a reasonable price! i heard that stubbens really inspire a love/hate reaction from most riders. i actually liked it - except it tipped me forward a bit... but i didn't love it enough to invest in adjusting it for isabel!! So happy your saddle journey was quick and semi-painless!! 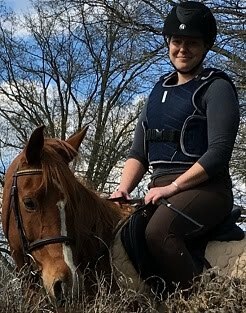 Great recap... so happy you found a saddle you love!! Excellent summary! Congrats again on finding "the one" AND staying under budget! thanks - i'm pretty pleased with how it turned out budget-wise too... as there honestly wasn't really much at the higher end of the scale that met my criteria!